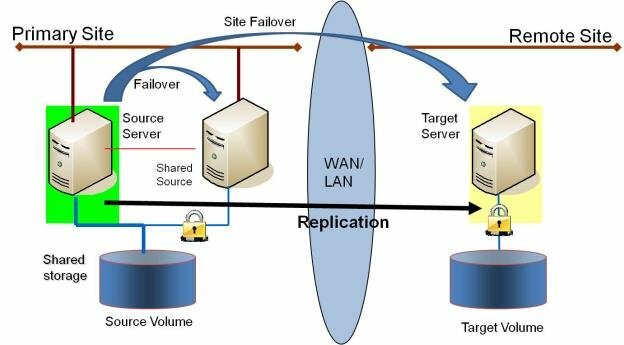 This configuration allows you to replicate the shared volume(s) of the primary site to a remote system across the network. This configuration is ideal for providing local failover within the Primary Site and disaster recovery protection should the entire Primary Site go down. Extend your WSFC cluster to a DR site by replicating the shared volume to a remote target. In the event of a primary site outage, the remote server becomes the active server.